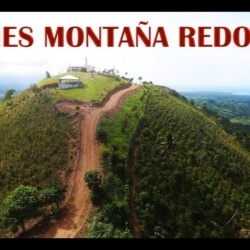 The famous Redonda Mountain (La Montaña Redonda=literally Round Mountain) is our first destination. We will ascend the mountain on board our safari-style trucks, which will be an unforgettable adventure. 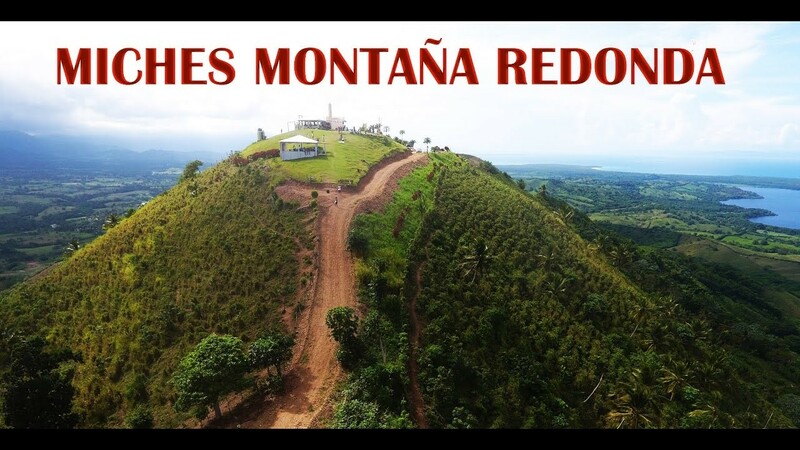 On top of the mountain you will take pictures and enjoy a panoramic breathtaking view over the wonderful landscape. From one place you will see at the same time the Samana Bay, Redonda Lagoon, Limon Lagoon, Esmeralda Beach, Limon Beach, and the entire oriental mountain chain, which is something unforgettable! 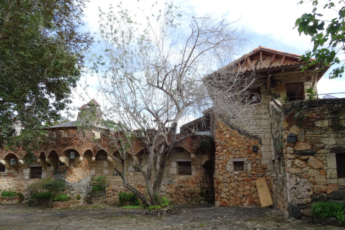 After descending from the mountain on the truck, we will get on our comfortable AC buses again and go to the town of Miches, from where your catamaran experience starts. 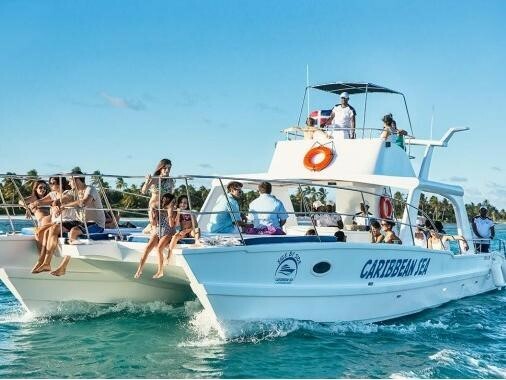 The catamaran with the best animation will take you to Punta de la Finca beach so that you enjoy its transparent water and idyllic atmosphere. On the beach, we will open for you an all-inclusive bar with national drinks. 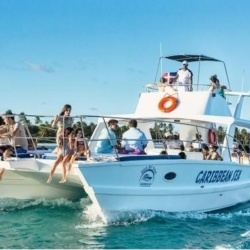 You will enjoy free national drinks on the beach and snacks on board the catamaran. 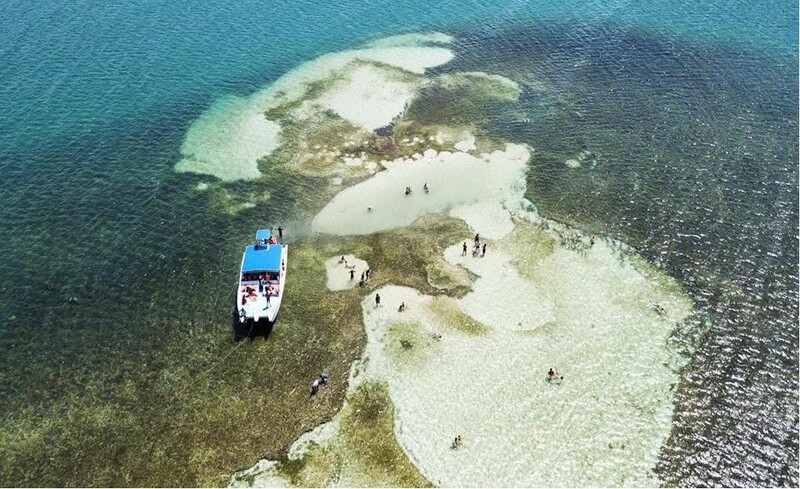 While you are enjoying your snacks, the catamaran will take you to Media Luna Natural Pool. 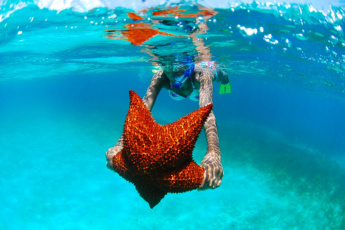 Once at the Natural Pool, our personnel will give you safety instructions and snorkel equipment for you to obseve different fish, starfish, reefs and other amazing marine species in their natural habitat. 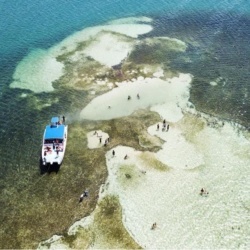 Revitalize your body after active snorkeling and enjoy a buffet lunch and national drinks. What to bring: Swimming suit, sunscreen, sun glasses, good mood. What’s included in the Hidden Paradise excursion? The participants should be at least 5 years old. Book your unique Hidden Paradise excursion now! We liked the tour very much. The Redonda mountain is extraordinary. 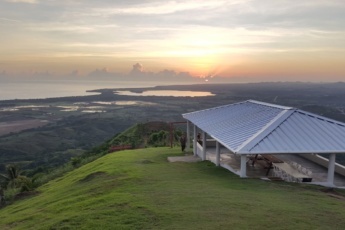 There is a spectacular view of the ocean, lake and valley. We made a lot of photos. But the most stunning pics we made on the famous swing. Now all my social networks’ subscribers are interested whether I was scared a lot soaring over a cliff. Ha-Ha. In fact, I was scared, but not much. And my pic .... Just visit the mountain and you will understand everything)) Then we went to a natural pool with absolutely clear water, where we enjoyed snorkeling. Do I recommend this excursion? Definitely yes!